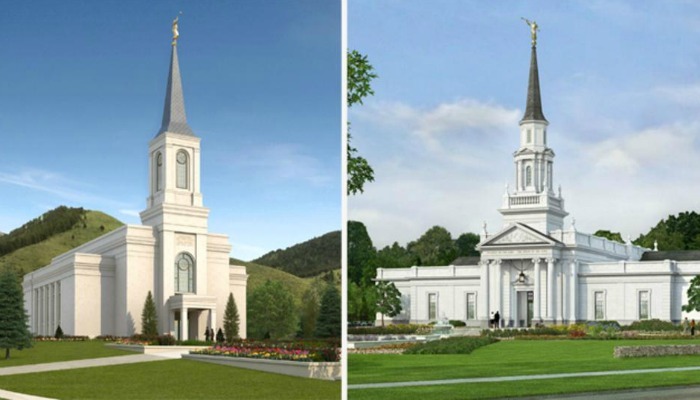 Renderings of the Star Valley Wyoming Temple (left) and the Hartford Connecticut Temple (right). Images via MormonNewsroom.org. The First Presidency for The Church of Jesus Christ of Latter-day Saints has announced the open house and dedication dates for the new temples in Star Valley, Wyoming and in Hartford, Connecticut. 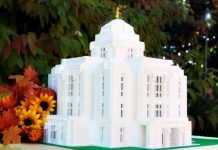 The Star Valley Wyoming Temple will open its doors to the public for a free open house beginning on Friday, September 23, 2016. Mormon Newsroom reports that the open house will run every day through Saturday, October 8, 2016, excluding Sundays and Saturday, October 1. 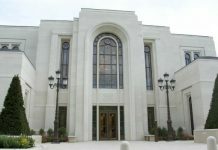 A Church leader will dedicate the temple on Sunday, October 30 in three dedicatory sessions at 9am, 12pm and 3pm. All Latter-day Saints in the temple district will be invited to attend one of the sessions via broadcast at local Church meetinghouses. Prior to the dedication, the youth in the temple district will perform in a cultural celebration on October 29. The First Presidency has announced open house and dedication dates for the Hartford Connecticut Temple. 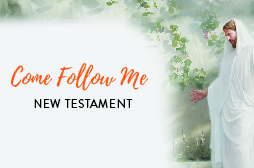 The public is invited to visit the temple during an open house from Friday, September 30 through October 22, 2016, excluding Sundays and Saturday, October 1. 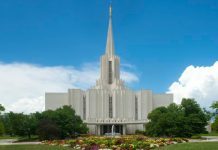 The temple will be formally dedicated on Sunday, November 20, 2016 in three sessions. In conjunction with the dedication of the temple, there will also be a cultural event featuring music and dance on Saturday, November 19.